Nowadays money has become the most popular and desirable thing in this world. Everyone realizes that it’s impossible to survive without money since almost all material things and services are paid. That’s why people waste the best and the most productive years of their life at work they hate in order to earn more money. I think that unreasonable rush for wealth is a dangerous thing, because it can make people lose intellectual values and become inhuman. My best friend always supported the quote by a famous American rapper 50 Cent, “Get rich or die tryin’”. It proves that money is the main aim in his life. He says that it’s not happiness for him, but a thing that fills his mind with confidence and desire to live. Money can bring either happiness or sufferings, depending on the way you invest it. Some people make new acquaintances while others burn already existent bridges. Money can both unite and create invisible barriers between people. I understand that it’s extremely pleasant to earn a lot of money, but you shouldn’t sacrifice everything and make money the meaning of your life, because one day it can fade away and it will be difficult to find power to bounce back and move on. I hope my article will help you understand the true role of money in the life of human beings. If you admit this truth, you’ll be able to reach more goals and find more time to enjoy other significant things in your life. Unfortunately, money often builds walls between people due to the problem of social inequality. Those who earn a lot of money tend to communicate with upper classes. They find it improper to fill their circle of contacts with people who aren’t as rich and powerful as they are. I’ve also experienced the problem of social inequality in my life. Not long ago, I’ve broken up with my boyfriend, because he became cold and absolutely indifferent to me. The negative influence of his bourgeois family broke our love. Now I realize that it wasn’t a relationship at all, because real feelings and emotions are completely resistant to the magical power of money and other tempting things. Wise and successful people don’t limit themselves in communication with other people. They know that wealth is a temporary thing, but values and all kinds of true human relationships are the most precious things in this changeable world. I believe that if people start treating each other with respect, this world will be better. The research proves that almost all millionaires were ordinary people in the past, but one day they found their calling in life and did their best to make their dreams come true. What is money? Someone can answer that it’s everything, while others won’t agree with them. Let’s reflect on this difficult question. Money is a kind of goods that is used to buy material things and pay for various services. There are lots of value paradigms in this world, including material and moral values. I’m sure that even incredible sums of money cannot buy the love of a mother or respect of people around you, because these feelings are priceless. 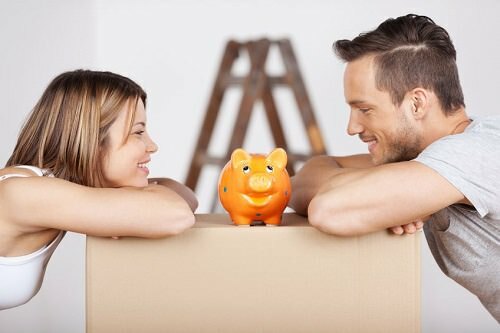 Nowadays many men think that financial success is the key to happiness and it can help them find a real love. Consequently, they concentrate only on their work and find nothing, but a spurious love. Then they become disillusioned with the existence of a real love. Love should be based on deeds and proved for years. Furthermore, I’ve noticed that people focus on money as the only way to solve their problems. They don’t realize that their cravings for money make their hearts cold and even ruin their lives. The most dangerous thing is that obsessive thoughts about making money make you blind to the life of your dearest and nearest people. These thoughts make you unable to enjoy the small things that happen in your life. Once and for all you should understand that money is just a piece of paper that helps you bring the ideas and projects to life. Money is not a bad thing, if you use it properly. The best way to manage your money is to invest it in your development. Today it’s very important to be self-confident and independent. Try to find a good job and create your own budget. This is the first step to your financial independence. Then you’ll feel free to express yourself the way you like and move on in different directions. Thanks to money and your persistent desire to develop, you can occupy yourself by different activities. Step by step, you’ll become more matured and experienced in things you feel passionate about. This is the best way to boost your confidence in life. When my sister was a teenager, she always dreamt to become a professional singer, but she lacked confidence to perform on the stage. She visited numerous personal growth forums and attended different seminars on how to overcome the stage fright, but nothing worked. Once I gave her an advice to find a professional mentor to help her get rid of her fear of singing in front of others. It was quite expensive, but it really helped her. I still attend her performances with pleasure. To sum up, I’d like to mention that money is an essential part of your life. If you want to be happy, you should learn how to deal with money and realize that it’s just a tool that makes our life more colorful and easier. True happiness comes from the inside. Don’t lose control or betray the values fostered by your family, no matter how rich or famous you may be. You’d better use money to develop your personality, travel, reach goals and fill your life with contentment. If your life goal is a cultural wealth, then you shouldn’t forget to invest your money in good deeds, because money can give life to new projects, unite, save people’s lives and bring both mental and physical satisfaction. I believe that today, people have more noble and beneficial life goals than just making and wasting money. Do you find money the main aim of your life?